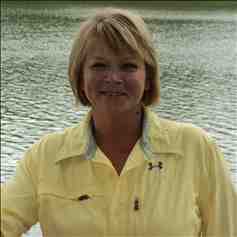 I am a licensed Real Estate Salesperson for Mossy Oak Properties Logan Land Company, a division of Cliff A. Logan and Associates, Inc. After retiring from a career as a Registered Nurse for 22 years, I attended Shelton State Community College and received my real estate certification and then was licensed by the Real Estate Commission. I have many years of experience working with people to ensure quality and satisfaction for services provided. I reside in Hale County and I am a native of this area. I enjoy the beauty of the land and nature, hunting and fishing. I am married and a mother of 2 daughters.